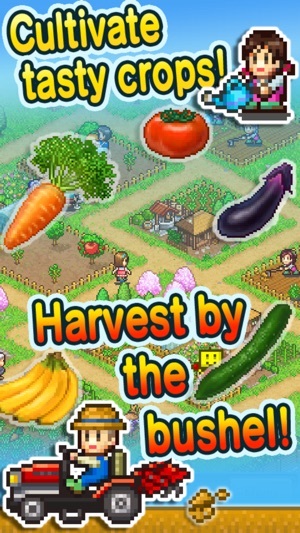 Leave the rat race behind and reap the joys of life on your very own farm in Pocket Harvest! 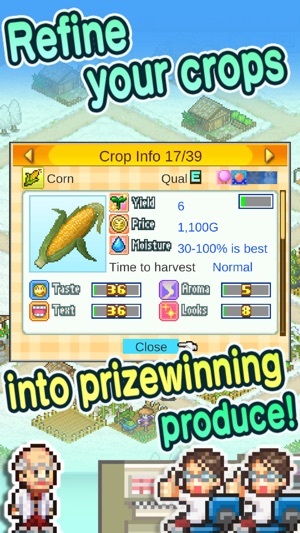 Cultivate crops with love, ranging from crisp lettuce to succulent strawberries, and refine them into prizewinning produce to bring orders from the local grocers flooding in. 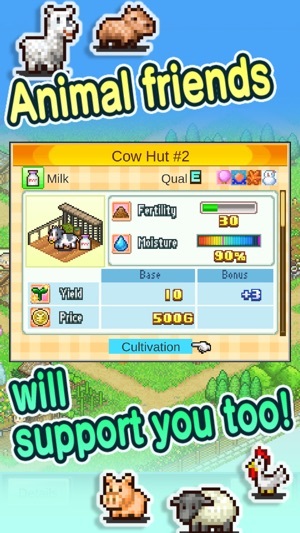 Adorable animal friends will lend a helping hoof too, providing milk, wool, eggs, and more! Feeling more ambitious? Boost your income and your image through tourism! From hot air balloons to sports facilities, you can build attractions in countless combinations to draw in high-spending city slickers. 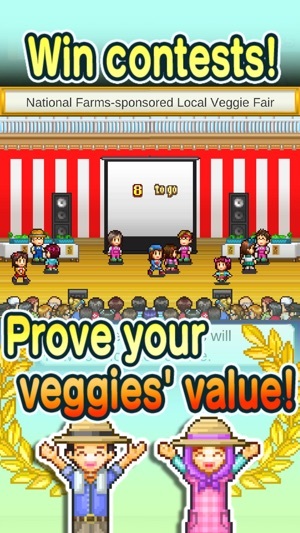 In Pocket Harvest, you wear the overalls, so you call the shots! 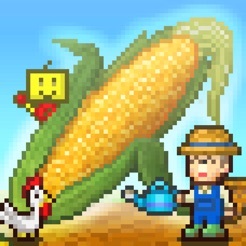 Grow your farm from the ground up into a flourishing cornucopia of fun! Now available in Traditional Chinese, Simplified Chinese and Korean! Would have gave 5 stars but I bought it then after 15 mins it's crashing and keeps crashing.. Fix please..
After 16 yrs if you have parched land and leave it, every field goes dry and crashes. No way to rescue since the problem is an overloading loop. I started over and encountered the same crash again. This time before year 16. Sad... Good concept horrible implementation. The game freezes or stutters every 2-3 minutes. 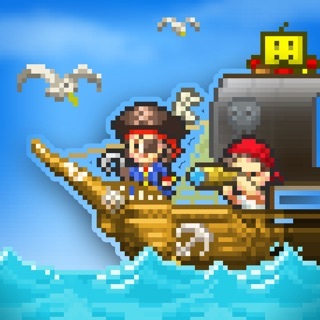 It’s weird because I used to run this game on an older phone and it worked fine.